Appointment of NIBL Ace Capital as the IPO Shares Issue Manager of Sayapatri Hydropower Limited. NIBL Ace Capital has been appointed as the issue manager by Sayapatri Hydropower Limited. The Hydropower company will be issuing 10% IPO of its Issued Capital to local people of project affected area and 20% shares to general public. 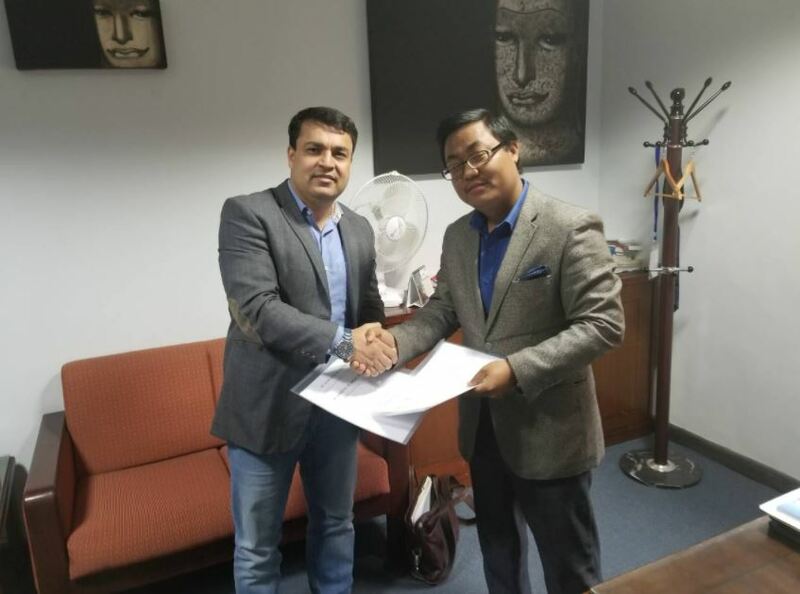 Dr. Badri K.C, Chairman of Sayapatri Hydropower and Mr Mekh Bahadur Thapa, General Manager of NIBL Ace Capital had signed on the agreement. The company’s authorized capital is Rs 50 crore and has the issued capital of Rs 30 crore. Sayapatri Hydropower is going to issue 3 lakh unit shares for the project affected locals and 6 lakh unit shares for the general public. Sayapatri Hydropower Limited has invested in the construction and operation of 2.5 MW Daram Khola ‘A’ hydropower project in Baglung district. NIBL Ace Capital Limited is a wholly owned subsidiary of Nepal Investment Bank Limited. Established in 2011, NIBL Ace Capital (then NIBL Capital) aims to provide exceptional and customized financial services ranging from merchant banking, advisory, and asset management services to depository participant functions. © NIBL Ace Capital Limited 2019. All Rights Reserved.